You asked us, "If we share 98 percent of the same DNA with chimpanzees, could you genetically engineer the rest to make it into a human?" Okay, Dr. Moreau, settle down, we're not making any human-animal hybrids around here. Even if we wanted to, it doesn't mean we can. Even though we have 98 percent of the same DNA, the important thing to realize is it doesn't mean we're 98 percent identical. Look at a banana. A banana shares about 50 percent of the same DNA as humans and you'd never confuse one for the other. DNA is basically a set of chemical instructions. The instructions tell cells how to make proteins that in turn make us. Little differences in the instructions can make big differences in not just how separate species turn out, but even how members of the same species turn out. So yes, since humans and chimps share a common ancestor, of course we share a lot of the same DNA instructions. There are Instructions for things like opposable thumbs, no tail, or relying on sight more than smell. Not to mention the many, many characteristics we share with all mammals. But we also have big differences. 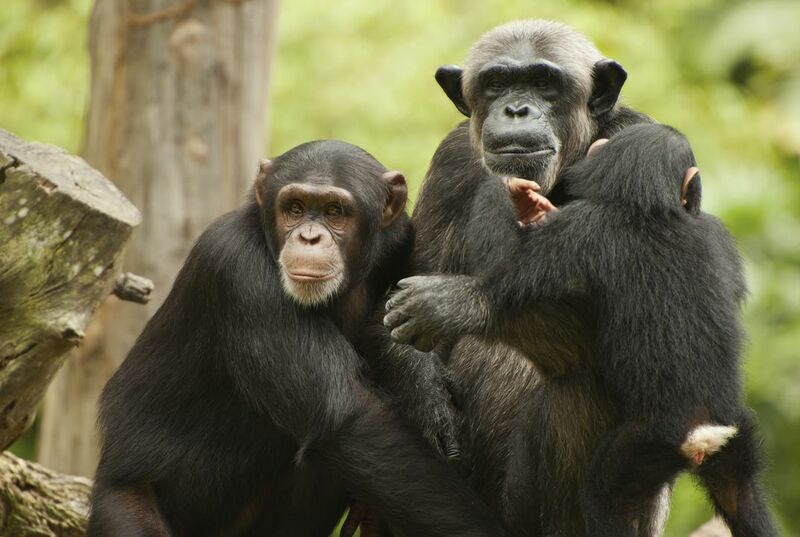 Pound for pound, chimps are stronger. But, they can't throw as well. They can communicate simple ideas, but they don't really get pointing. They make tools out of sticks and we make tools that can sequence DNA. But hopefully, we'll never make a tool to create a human-chimp hybrid. Because both species are remarkable enough on their own. In the article it said that even if people wanted to they couldent because we share 98 percent of chimpanzees DNA but we also share 50 percent of a banana's DNA, but the the sets of DNA are not identical to a chimpanzee, human, or banana. We cannot genetically engineer a chimp to make a human because the DNA structures in the human and chimp DNA are very different from one another and we do not look a like at all. According to the article,"DNA is basically a set of chemical instructions. The instructions tell cells how to make proteins that in turn make us." I found this article interesting because I thought that humans and chimps were almost the same but it turns out we are not. I really really really really like monkeys. They are my favorite animal. It would be cool if they could make monkeys into humans but I guess they cant oh well maybe in the future. I think it is a bad idea to make a chimps be humans because we are the same in different way but we do have some thing people don't do like chimps do. If we genetically engineered chimps to make a human the chimps might be modified till they are extiked. We can't genetically engineer a chimp to make a human. 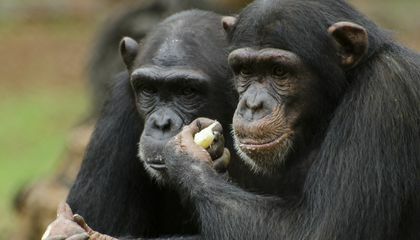 Even though we have half the DNA it still doesn't make a chimp talk or act like a human. We can't genetically engineer a chimp to make a human because the chimps might be modified till they are extiked. Yeah, even though we have similar DNA, that doesn't mean that a chimp can act like a human, they would have to be taught and besides, they can't like you said talk like humans. Because chimp are smart and everything but i don't think that they can do everything that a human can do.Like A sport or a hard job so I think that they should do that. We can't genetically engineer a chimp to make a human because "Even though we have 98 percent of the same DNA,the important thing to realize is it doesn't mean were 98 percent identical. "and it also says that "But we also have big differences.Pound for pound,chips are stronger.But,they can't throw as well.They can communicate simple ideas,but they don't really get the pointing.They make tools out of sticks and we make tools that sequence DNA. ".